Since the introduction of Shellac nail polish that lasts for 2 weeks without chipping or fading the world of manicures has changed for good. There are now numerous brands and most salons will offer this type of manicure. The 2 week manicure is the perfect manicure for a holiday or special occasion due to its durability. Of course they are not cheap so if you are handy with a nail polish brush why not give it a go yourself. We look at what you need and the key steps to achieving the perfect salon finish! The key item in a 2 week manicure if you are to attempt it yourself is a UV lamp or an LED lamp. Obviously the second key item is polish. Not ordinary polish but special gel polish designed to be cured under a UV or LED lamp. Most of the major brands such as Gelish and Shellac now offer “Starter Kits” for doing your own manicure at home which include everything you need to get going. As with all manicures nail preparation is key to a good manicure. In fact the preparation of the nails takes up almost more time that the actual application of polish. When doing a DIY manicure it is important to ensure you invest the time in the preparation stage and if trying to file or shape your nails on your own recruit in some help! A friend, sister or anyone who can file a nail into your desired shape. Part of the nail preparation should include cuticle removal and buffing the nail to ensure a nice smooth surface to apply the polish. The nails should be rubbed with rubbing alcohol before any polish is applied. A base coat should always be applied and cured under the UV lamp for 30 seconds before any polish is applied (or whatever time is stated on your own UV lamp – LED lamps need less time). Once the base coat has been cured the chosen colour should be applied. For French manicures this will be the white tip. The first coat should be cured for 2 minutes before a second coat applied and also cured for 2 minutes (Again, check if your brand of UV lamp differs and an LED lamp will not take as long). Finally a top coat should be applied and cured for 3 minutes. It is important to remember to seal the top edge of the nail when curing to seal the nails totally. The nails should be rubbed with rubbing alcohol, some cuticle oil applied and you are ready to go! The beauty of 2 week manicures is that there is little or no maintenance. Once you are done you are done! Of course getting salon results is difficult and takes practise but if you can master it, it will be a real money saver! It important to take care of your nails. 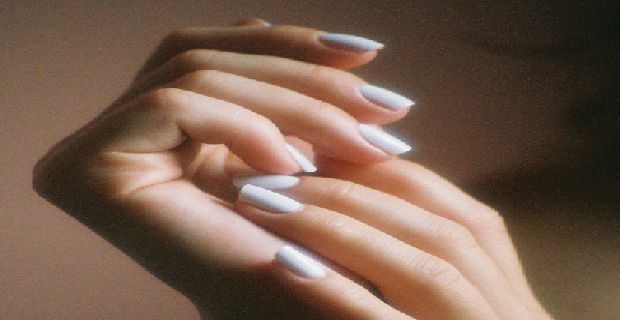 There is much debate about whether or not these types of manicures can cause damage. One key way of avoiding damage is after the 2 weeks to remove the polish properly. You will need an acetone polish and the most effective way is to dip some cotton wool pad into acetone, wrap it around your nail and secure with tin foil wrapped over it. After 10-15minutes take tin foil and cotton wool off and ease polish off with an orange stick. The nail should be buffed and cuticle oil applied.